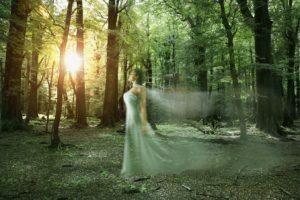 Home / Articles / Are There Spirits Around You? Did you eve feel like you are being watched when no one is around? Have you been in a normal temperature room and suddenly your body gets a chill and goosebumps? Have you found a feather or a dime in the strangest of places? The spirit world will work through different elements to help you. Are you seeing consecutive numbers in license plates, the clock, addresses, or mail boxes? Number sequences hold special meanings. Doreen Virtue, author and speaker of metaphysical subjects, believes that these number sequences are communications from the angels. Pay attention to repetition. Do your research and find out what your guides and loved ones are trying to convey.